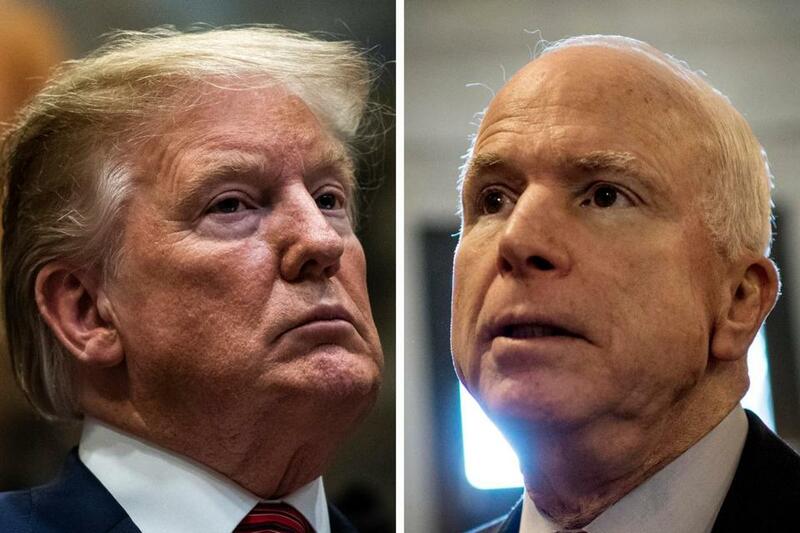 President Trump and Senator John McCain. Johnny Isakson: “But we must speak up or don a coward’s cloak, mustn’t we, Mitch? Lindsey Graham: “To flee or not to flee, that is the question. And by opposing them, risk ending your Senate career . . .
Scot Lehigh can be reached at lehigh@glob.com. Follow him on Twitter @GlobeScotLehigh.